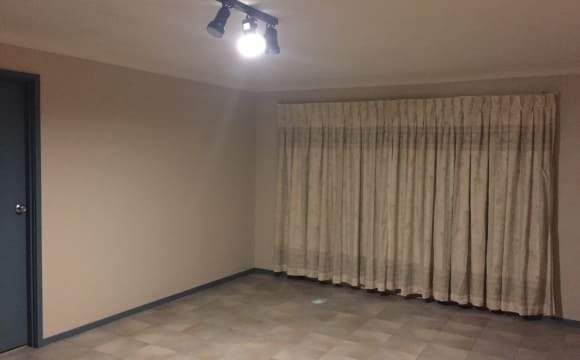 I have an unfurnished (can be partially furnished) bedroom in a two bedroom flat that can accommodate a king single bed, double mirrored wardrobe with sliding doors and storage is available to rent. It comes with a spacious private bath and shower. The kitchen has a four burner gas stove and is equipped with all the amenities if you would like to prepare your own meals. The flat has all the home comforts. The living area is quite spacious with a big balcony. Your room will have Wi-Fi internet. The rent includes all the bills (Gas, electricity and unlimited ADSL+ internet). I can provide you with some furniture like a bedside table, study table, and a chair. 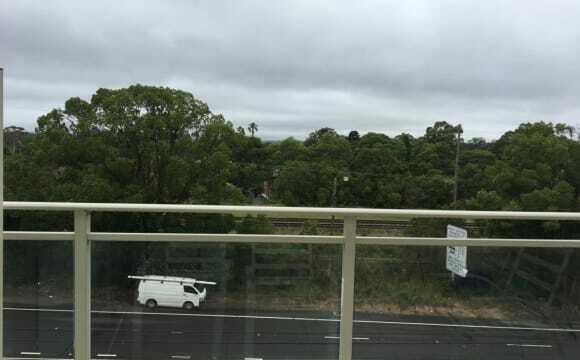 The apartment is 10 minutes walk to the Hornsby train station and 6 minutes walk to the Westfield Hornsby shopping center. 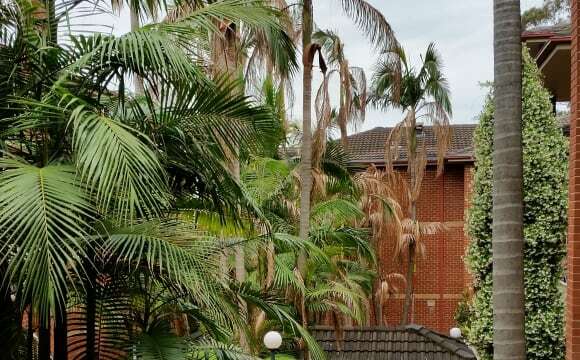 The apartment is located in a quiet residential area adjacent to a park and is quite spacious. 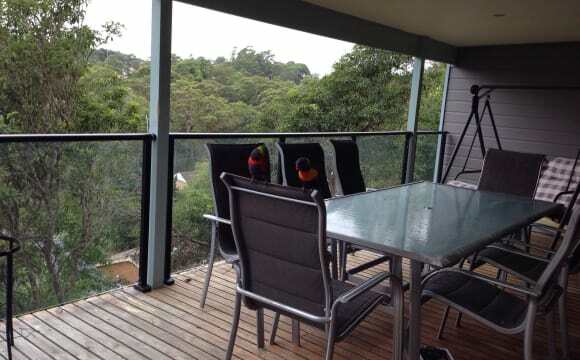 Our 5year old home is located 2 minutes walk to Hornsby Hospital, and 20 minutes walk to Hornsby or Asquith Station, bus stop is 2 min walk. 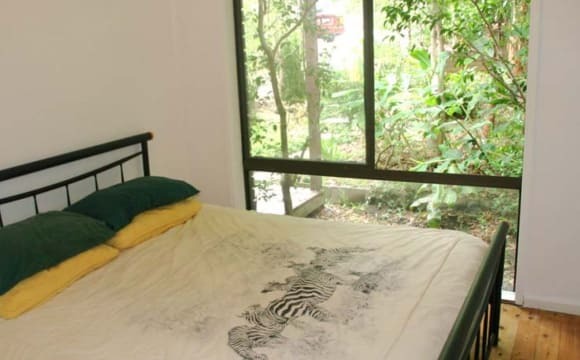 You will have a double sized bedroom, furnished or unfurnished, 2nd room is slightly smaller. Own bathroom and toilet, own living area with tv, own outside sunny deck to enjoy. Your bedroom, living area and deck are downstairs so there is loads of privacy. Your room has an oversized walk in robe and ceiling fan. There are 2 bedrooms available. Rent includes water and internet. Rent must be paid 2 weeks in advance. You must be very clean and tidy. 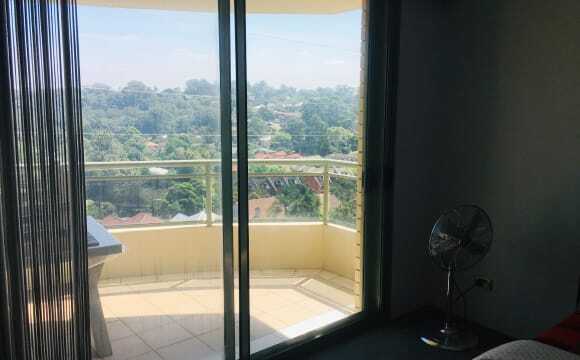 We are looking for 2 girls in 2 single rooms :) conveniently located brand new town house This beautifully renovated and bright 3 bedroom townhouse is located in the heart Hornsby CBD .Combined spacious living and dining area, bedroom with built ins and lots of natural light. Featuring polished floating timber floor in bedrooms, gas cooking and dishwasher. Just a short 3 mins walk to Westfield Shopping Complex, asian supermarket, foodcourt . 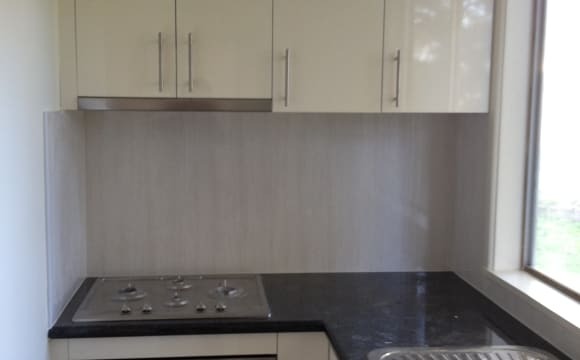 - Suitable for ONE quiet, clean and tidy person to join us in our brand new relaxed town house -3 mins walk to Westfield Shopping centre ,asian supermarket -5 mins walk to hornsby train station, 35 mins to CBD - Large mirrored built-in wardrobe, and double bed in bedroom -CAT friendly (we have a lovely cat sharing the place with us ,her name is Diem, a very relaxed cat and loves human. ) -Room for rent price is $220/week, 2 weeks bond, 2 weeks notice when you plan to leave and an hour cleaning per week that’s all we ask. 🙂 Please send an email with your name, nationality and occupation if interested. 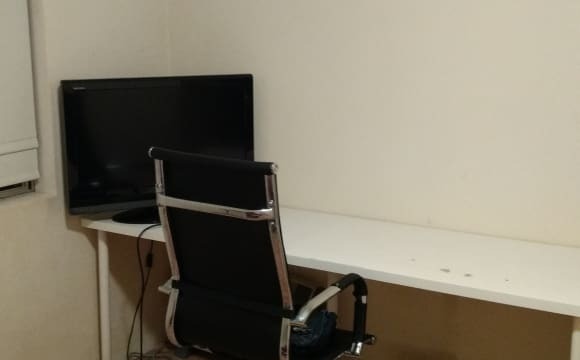 ==Room for rent/house details== The bedroom for rent is a private room and is fully furnished. The bathroom will be shared. 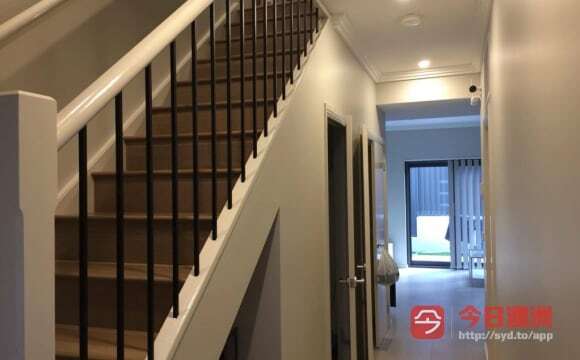 The house is a two storey townhouse with the living room, dining room, and kitchen downstairs and bedrooms and bathrooms upstairs. Wifi is provided, we have a small backyard and air-con is available downstairs only. ==Flatmates== We are looking for a female flatmate who will preferably rent long term (6+ months). You will be joining 3 flatmates: Myself(Grace), my mother(Su) and our tenant(Lucy). We're easy-going people who study/work during the day and come home during the afternoon/night to relax. 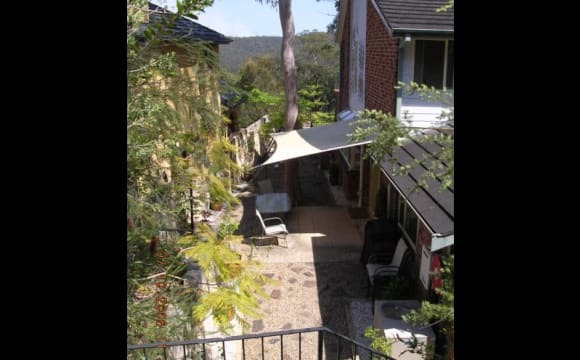 ==Location== -Situated amongst other townhouses on a quiet street (away from heavy traffic). 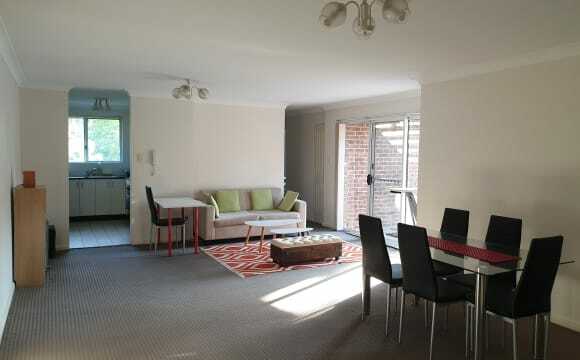 -Within 5 minutes walking distance to Hornsby train station. 10 minutes to Westfield shopping centre. Apartment in a high security building. Building has a heated indoor pool, Spa and Sauna. Just a stroll (less than 300m) to Hornsby Train station and Westfield. Fully furnished apartment with Central air conditioning and all amenities - Fridge, Washing Machine, Dryer, Microwave, TV, Dishwasher. Your room is fully furnished with an access to the main balcony and a beautiful view. 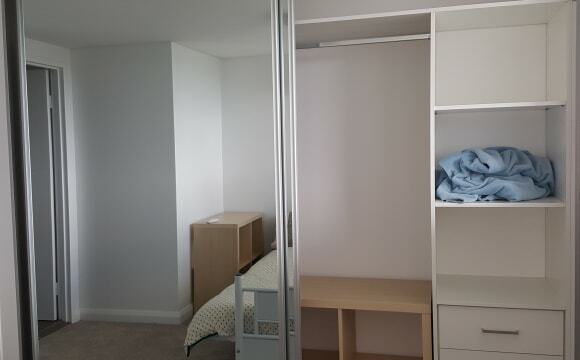 The room has a spacious in built wardrobe. Even the bed has ample storage space. You will have your own bathroom. Rent - $260+bills (that come up to approx. 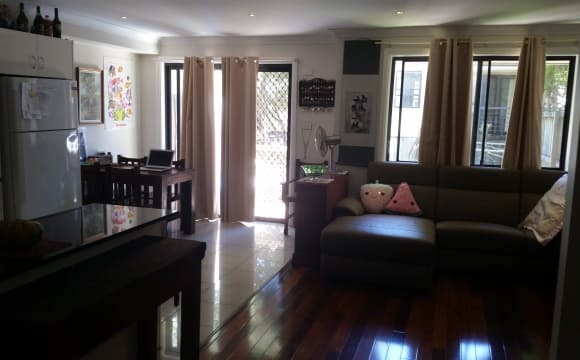 $30/week) Bills include electricity, Gas and NBN high speed Internet. 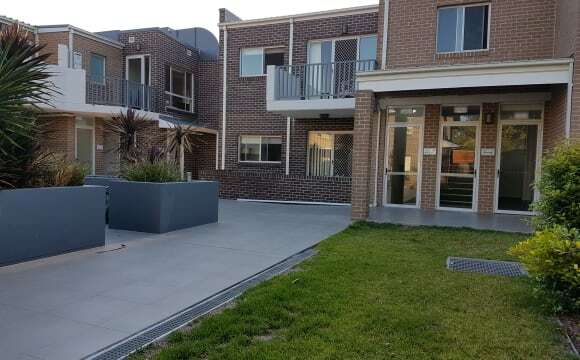 Near to station, park, Westfield, Hornsby hospital, internet, ele+ gas bills are included, big open balcony for open dining and charcoal BBQ. Decent security, have intercom, lift access though swipe keys. Have full furniture so no space to accommodate anything new, 55inch smart tv with Netflix etc. Room1 has ensuite: rent $250/wk including bills. Room2: $250/wk including bills I have car and using the parking but there are plenty of off-street parking available around this block. So, if you have car you would need to do off street parking. 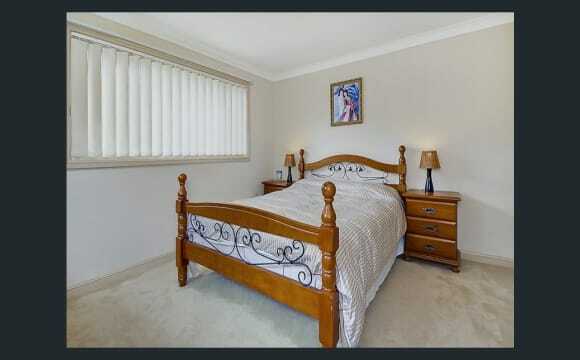 - Less than 5 min walk to Waitara station. 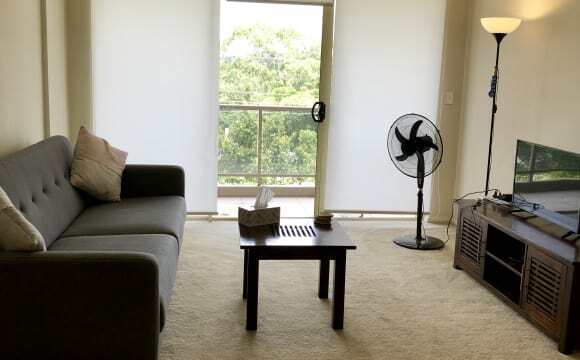 - Less than 15 min walk to Hornsby station - 10mins walk to the Hornsby Westfield shopping centre and library. - Several Gyms near by. - Visitor parking in the building or parking on the street - Bedroom: 1 double bed is available and can be removed if not needed. - Side table with lamp. And single book shelf. ( both are missing from the photo but available) - The wardrobe has plenty of space, shelves and hangers. - Attached Bathroom and big balcony from the bedroom. - Bills are included in the price : Internet, Electricity &amp; Gas - Kitchen: most of the cutlery, plates, pans and pots are available. For seafood, chicken and meat please use your own cooking ware Property available from end of April. Master bedroom (~3.8m x 2.9m) with ensuite &amp; bathtub. Individual secure parking spot. Leafy westerly view. Pool and gym in complex. NBN. Aircon and gas cooking. 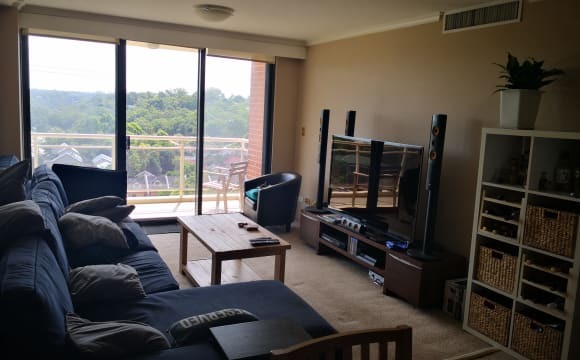 ~7mins walk to hornsby Station and Westfield shops. Note: bedroom is unfurnished. Full disclosure, it's on the rail line but double glazing keeps what noise there is down. And there is currently construction next door, but that's starting to wrap up. - Available immediately - North-east face master bedroom with ensuite and walking wardrobe in boutique townhouse - Stunning courtyard - Fully furnished, with all appliances (fridge, wash machine, microwave, gas cooker). 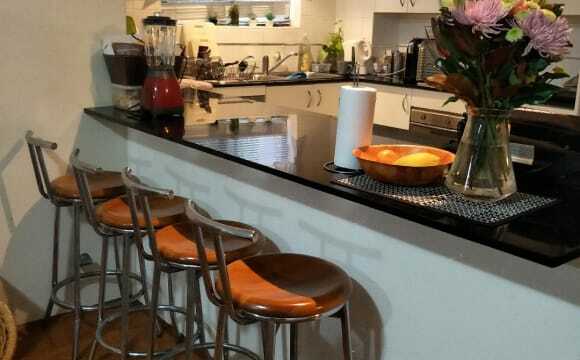 - Quite street and complex, 600m to Hornsby station and Westfield shopping center. - All bills included (Power, gas, water, internet) - Easy to inspect Application from single or couple will be considered. The place is quite, secure and close to Westfield and train station. The living room has air conditioner. You will have full access to pool, sauna and gym inside the complex. You will have uninterrupted blue mountain view from your spacious room.